In Rozvadov in early May 1953, forty-two-year-old Josef Blažek, (* 22 Mar 1911, † 9 May 1953), attempted to drive his automobile through the boom gate. 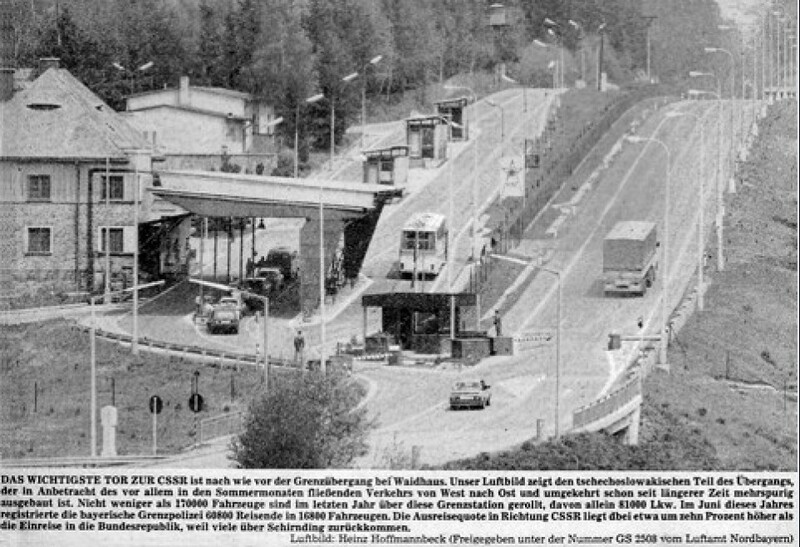 The dental technician presumed that the boom gate would be made from wood, and he did not expect that the border guards would shoot at him. 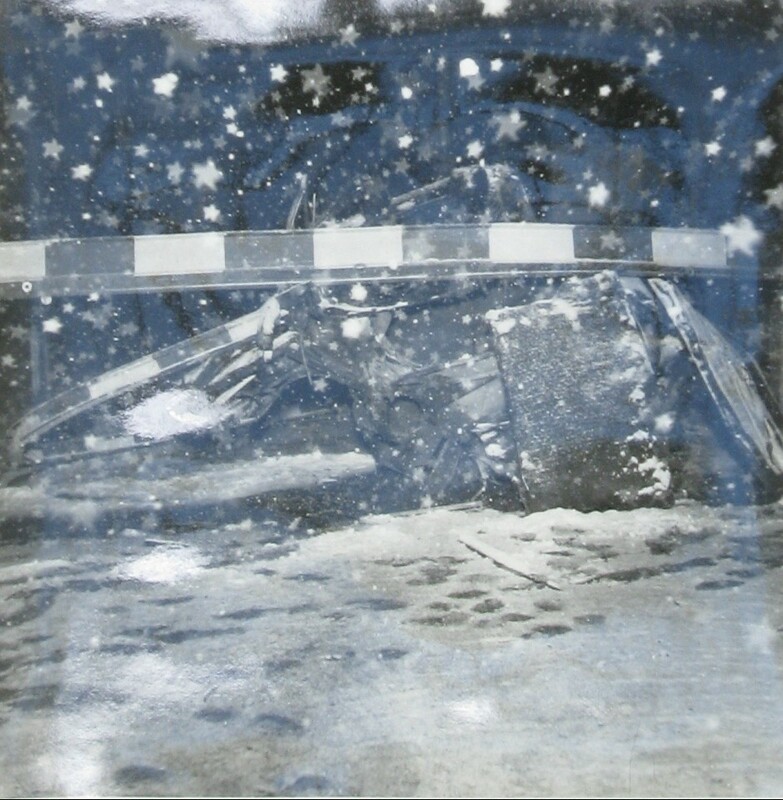 Although Blažek did not survive the crash, his co-passenger and pregnant lover Dagmar Tesařová was severely injured. Blažek, a married father of two, apparently hoped to solve a difficult personal situation through emigration. When reaching the West, he had planned to marry the eighteen-years-younger Tesařová; his wife was in no way involved. But according to Tesařová’s testimony, a second motive was dissatisfaction with the political situation in the country and the desire to open a private stomatology practice, as his previous one in Czechoslovakia had been nationalised. 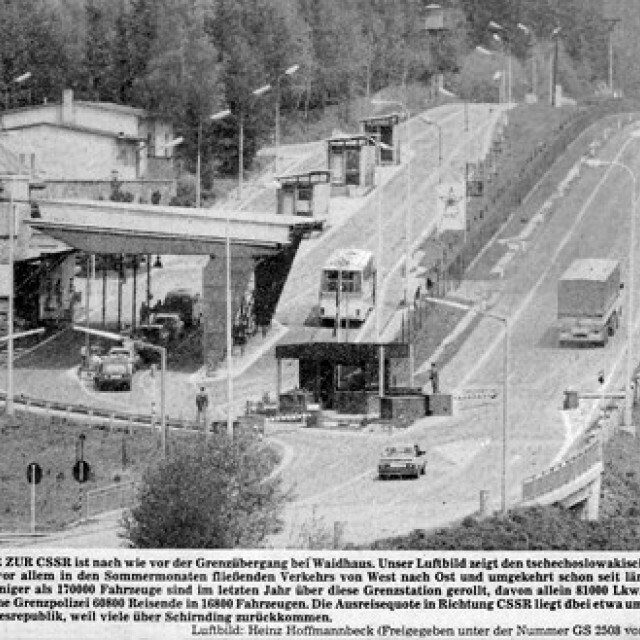 Blažek had underestimated the sturdiness of the border barriers. 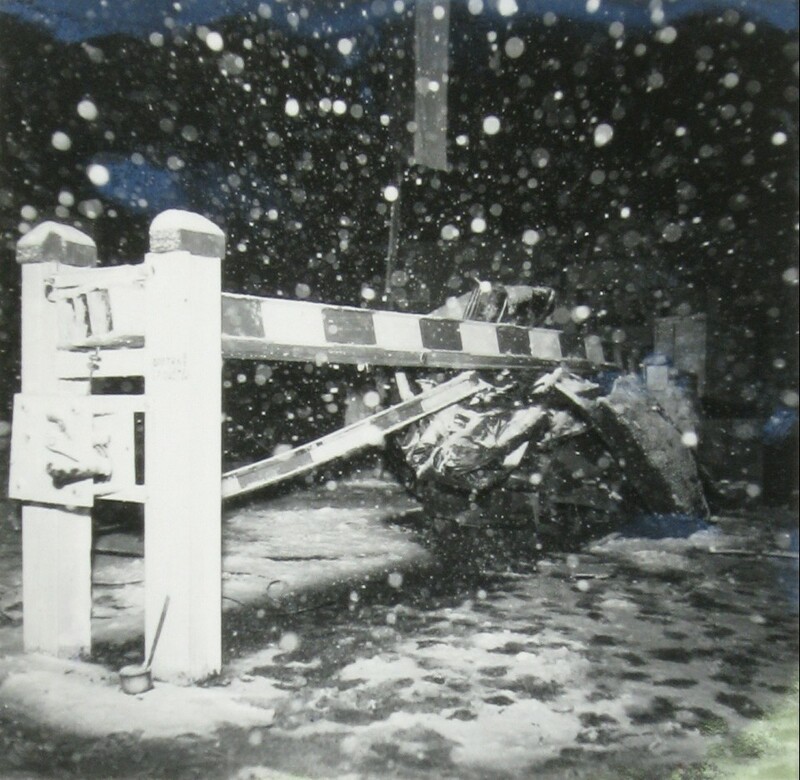 His car was able to penetrate the first iron boom gate, but it did not survive contact with the second one; furthermore, according to contemporary documents, the patrol leader “fired 7 rounds from his sub-machine gun at the moving vehicle from a distance of 10 feet.” Despite her pregnancy, her injury, and her merely secondary role in the planned escape, Tesařová was stood on trial in the following October and sentenced to six months of prison and the loss of citizenship rights for three years.